Stratos Jets offers charter flights to, between, and from the many airports in the beautiful state of Florida. In a matter of hours, experienced Stratos agents can arrange a charter flight conducted by two veteran pilots in a carefully maintained, state of the art aircraft. 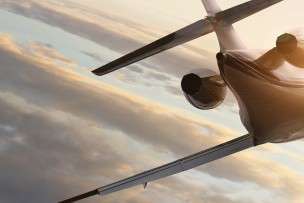 As a charter flight broker of an exceptional kind, Stratos Jets provides clients with a range of important benefits when they travel to, from, or within the Sunshine State. An Expanded Margin of Safety Many charter brokers make a point of rock-bottom pricing, cutting corners and providing less to their clients as they do so. Stratos Jets was founded with enhanced aviation safety as the overriding goal, while always delivering impressive value with every flight. Our rock-solid due diligence and educational processes ensure that our clients enjoy the highest levels of safety available in the world of private aviation. Whether for a few days spent relaxing in Miami or an important meeting in Orlando, Stratos Jets customers can be sure that their charter flights in Florida will never make compromises with regard to safety or in any other way. $25 Million in Additional Liability Coverage All of our air carrier partners are vetted to carry extensive liability insurance. With typical coverage limits of around $25 million for turbo-prop aircraft and about $50 million for jets. Stratos Jets adds to this protection with an additional $25 million in liability coverage on every charter flight, providing even greater security and peace of mind. An ARGUS Certified Charter Broker Stratos Jets is an active member of the elite ARGUS Certified Charter Broker program. The rigorous standards established by this independent, well-respected organization reflect the utmost in charter flight brokerage excellence. As the world’s leading aviation safety group, ARGUS certifies that Stratos Jets’ due diligence and other processes meet and exceed current best practices. There is no other broker who does more for their clients. An Unparalleled Customer Experience Our experienced agents select the perfect aircraft for each charter flight. They take into account every client requirement and preference. Our dedicated Trip Support specialists handle everything from concierge service to the organization of all flight details. Allowing our clients to focus with confidence on the things that matter most to them. Just as we never compromise on safety, we focus intently on the customer experience with everything we do. Boca Raton: Referred to locally as “Boca”, is a coastal town in South East Florida. Boca is situated between Palm Beach and Fort Lauderdale. Between its beautiful beaches, shops and a variety of restaurants, visitors have plenty to do. Boca Raton also has its own private airport. Making it convenient for snow birds. Clearwater: One of the Gulf Coasts most desirable beach towns. Clearwater is a top destination for boaters and beach lovers. The endless miles of beaches in Clearwater face west. Treating residents to unforgettable sunsets over the Gulf of Mexico. Daytona Beach: The hard-packed sands of Daytona Beach have long made the city a top destination for spring breakers and motor-sports fans. Daytona offers plenty of fun and excitement of other kinds, as well. Florida Keys: From Ernest Hemingway to Harry S. Truman and Tennessee Williams, some of the most famous and accomplished Americans of all have long appreciated what the Keys have to offer. Fort Lauderdale: Is located just to the north of bustling Miami. Its convenient access makes Fort Lauderdale a great base from which to enjoy everything that makes South Florida so appealing. Fort Myers: Beautiful Fort Myers affords easy access to the beaches and sheltered waters of the Gulf of Mexico. Fort Myers offers activities ranging from charter fishing to the world-class golf of nearby Sanibel island. Gainesville: Is one of the nation’s greatest college towns. Gainesville combines small-city charm with a youthful vitality that makes North Central Florida feel even more welcoming. Jacksonville: A top destination for business travelers and tourists alike. Jacksonville is Florida’s most populous city and a major center for international trade and other economic activity. Miami: With personality and culture that few cities anywhere can match. Vibrant Miami is also an economic hub and home to some of the world’s most spectacular beaches. Naples: Calm waters on the Gulf of Mexico make Naples a top destination for anglers, while world-class golf, gardens, and shopping help to round out the city’s undeniable appeal. Ocala: Northern Florida has long been home to many of the world’s top horse farms. And Ocala puts visitors within easy reach of over 1,200 of these today, while still being only a short trip from either coast. Opa-locka: Opa-locka’s quiet, secluded private airport makes for an appealing departure or arrival point for whose plans center around nearby Miami or Fort Lauderdale, with plenty of charter flights being available. Panama City Beach: Known as the unofficial “Spring Break Capital” of the United States. Panama City Beach is a place where fun, sun, and sand are never far away, with 27 miles of beautiful beaches awaiting visitors. Sarasota: Home to what some experts regard as the country’s single most beautiful beach. Sarasota is also equipped with a world-class art museum, opera house, ballet, and other cultural amenities. St. Augustine: From the 17th-century Castillo de San Marcos to its many other attractions, the nation’s oldest continuously inhabited city drips with history, culture, and fascinating things to see. St. Petersburg: The Sunshine City remains a top choice for retirees, offering a somewhat slower-paced take on the Tampa Bay area that includes spectacular weather throughout much of the year. Stuart: A popular base for travelers intent on exploring Florida’s Treasure Coast. Stuart offers easy access to the Atlantic’s fish-rich Gulf Stream to those who touch down at its Witham Field Airport. Sunny Isles Beach: Is located on a barrier island halfway between Fort Lauderdale and Miami. Sunny Isles Beach provides convenient access to the best of both, along with its own, quieter charms. Tampa: Has an economy that continues to grow at record rates. Tampa has become Florida’s fastest-growing charter flight market, offering visitors plenty to do when the business day is over. 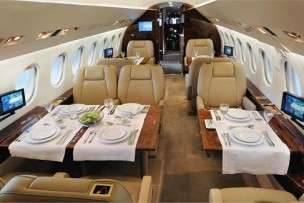 West Palm Beach: Most visitors will fly a private charter into Palm Beach International. However, there are two smaller regional airports in the area. West Palm Beach is one of the country’s top destinations for golfers and those who love to soak up the sun. Vero Beach: An upscale quiet beach town, the Treasure Coast remains unspoiled. With its own private airport, this charming getaway offers convenient access and miles of beautiful beaches. Contact us to book a charter flight to any of these destinations or one of Florida’s many other airports. Stratos Jets will provide a private charter flight perfectly suited to any set of requirements. With an improved margin of safety and many other benefits that enhance peace of mind, flying with Stratos Jets means being able to enjoy everything Florida has to the utmost. Our experienced agents are ready to arrange a private charter flight of any kind in Florida right away. Search our Florida airport directory for airport codes, runway information, available charter aircraft and FBO Information as well as empty leg jet charters in Florida. Search our Airport Directory and let us get you on your way. Stratos Jet Charters is rated 4.87 out of 5 based on 274 user reviews.